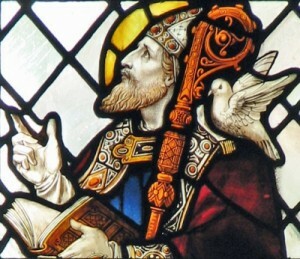 ST. DAVID, son of Sant, Prince of Cardigan and of Non, was born in Wales in the fifth century, and from his earliest years gave himself wholly to the service of God. He began his religious life under St. Paulinus, a disciple of St. Germanus, Bishop of Auxerre, who had been sent to Britain by Pope St. Celestine to stop the ravages of the heresy of Pelagius, at that time abbot, as it is said, of Bangor. On the reappearance of that heresy, in the beginning of the sixth century, the bishops assembled at Brevi, and, unable to address the people that came to hear the word of truth, sent for St. David from his cell to preach to them. The Saint came, and it is related that, as he preached, the ground beneath his feet rose and became a hill, so that he was heard by an innumerable crowd. The heresy fell under the sword of the Spirit, and the Saint was elected Bishop of Caerleon on the resignation of St. Dubricius; but he removed the see to Menevia, a lone and desert spot, where he might, with his monks, serve God away from the noise of the world. He founded twelve monasteries, and governed his Church according to the canons sanctioned in Rome. 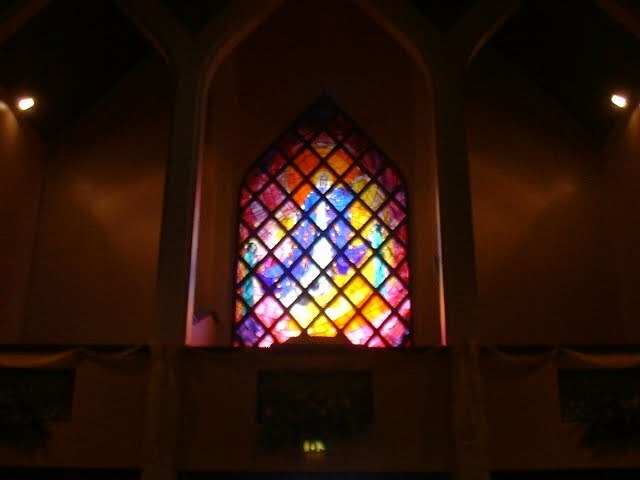 At last, when about eighty years of age, he laid himself down, knowing that his hour was come. As his agony closed, Our Lord stood before him in a vision, and the Saint cried out: “Take me up with Thee,” and so gave up his soul on Tuesday, March 1, c. 600.